Springtime up on the Downs is always an exhilarating experience. Our visit on Fathers’ Day is just too early to catch the Spring blooms, but in some pockets the first blossoms have appeared on the apple and pear trees. 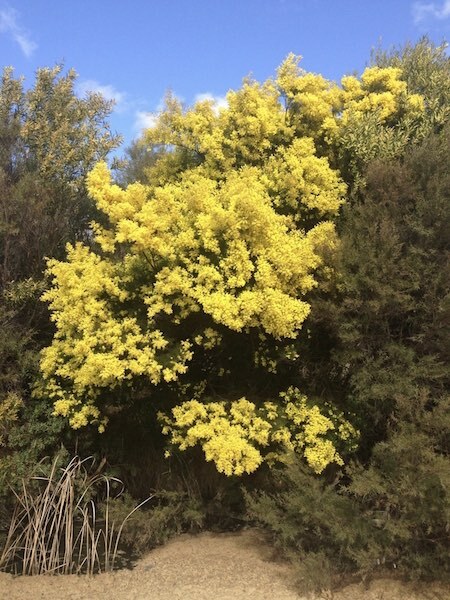 The wattles are the only trees wearing their full yellow coats. 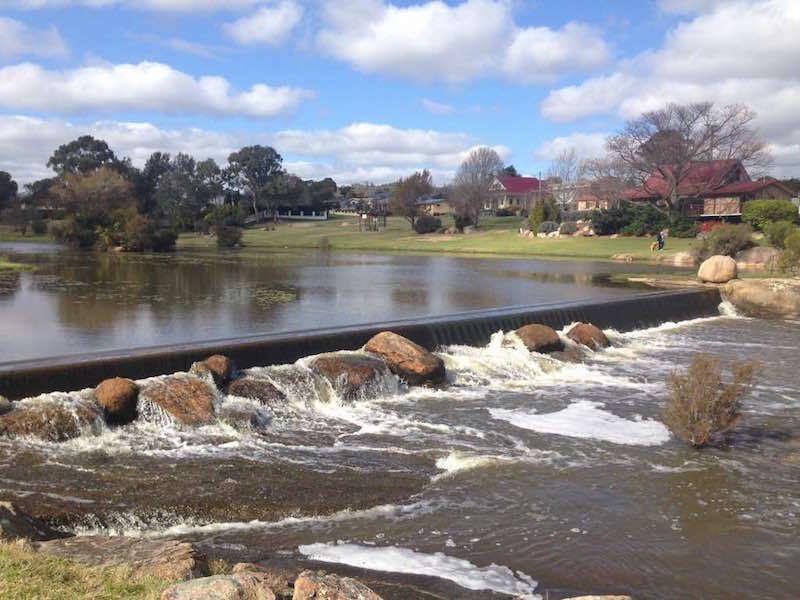 The environs around Stanthorpe beckon the hiker, but at our age, we are content with a short walk, a sample or two of local wines, and a feast of food. We always visit Anna’s Italian Restaurant whose Saturday night smorgasbord is enough to make the trip from Brisbane a worthwhile and memorable experience. But on Sunday night, when Anna’s is closed, eating out is a different experience for us. ‘You can walk down the street and not be afraid of being attacked or mugged,’ says our host, and we can understand why when we look for an eatery in the main street on Sunday night: it is deserted and in darkness. No discos, nightclubs, or wild pub brawls. (So what do Stanthorpe’s young folk do for entertainment?) 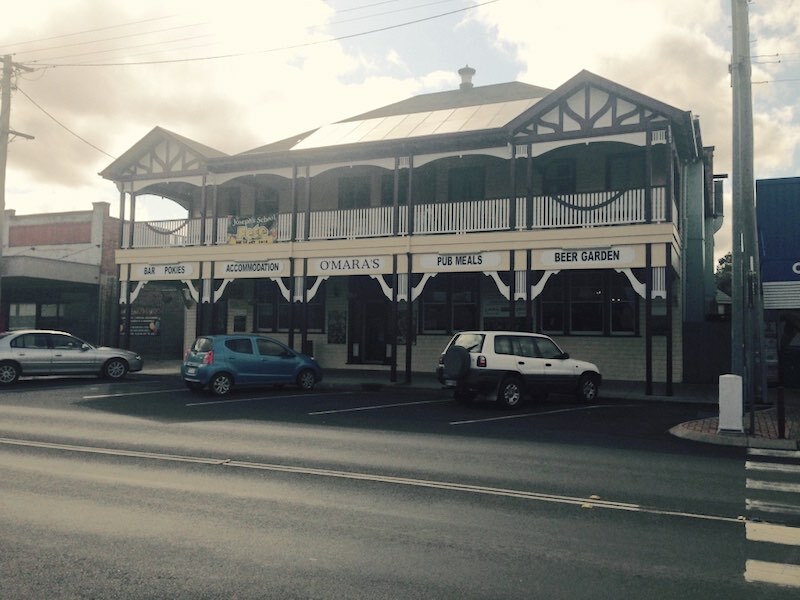 However we peer in the window of O’Mara’s Hotel – one of those good old fashioned country pubs that are rapidly disappearing – and are delighted to see the dining room packed with people – family groups mainly, probably celebrating Father’s Day. We go inside and eat a hearty pub meal in a warm and friendly atmosphere. Amongst the typically Australian names littering the map of Stanthorpe – Goldfields Road, Hooters Hut, Possums Road, and Rabbit Fence Road, are a scattering of French names: Amiens, Pozieres, Bapaume, Passchendaele, Messines – all battlefields of WWI in which Australian soldiers fought. Those who survived the carnage were rewarded by the Australian Government with a block of land, which as ‘soldier settlers’ they could farm. Many took up the challenge and tried their hand, but not being ‘of the land’ they failed. However the names of these, their second battlefields remain as their legacy. 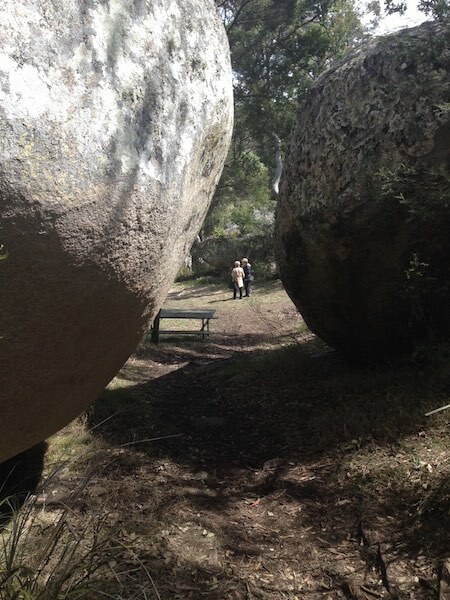 This pile of huge granite boulders, dubbed Donnelly’s Castle after the original settler in the area, is also reputed to be the hideout of former bushrangers and of the legendary Yowie both of whom have sunk into the folklore of the district. I can’t recall many towns in Australia that have adopted well known Irish city names such as Dublin, Limerick, Belfast, or Cork, but for some reason, Killarney was chosen for a remote spot outside Warwick. I have often thought I should visit the place to make a comparison. On our way home we divert to satisfy our long held curiosity. But, apart from its mountain backdrop it is difficult to imagine a place less like its Irish namesake or what inspired the name. On the way out there, though, there is a patchwork of fields under cultivation, which could easily have inspired the song ‘Forty Shades of Green’. At its opening by John Deuchar in 1868, and dubbed ‘the finest house in the colony’ it was renown as the social hub of the Downs. Sadly Deuchar went broke before the building could be completed. 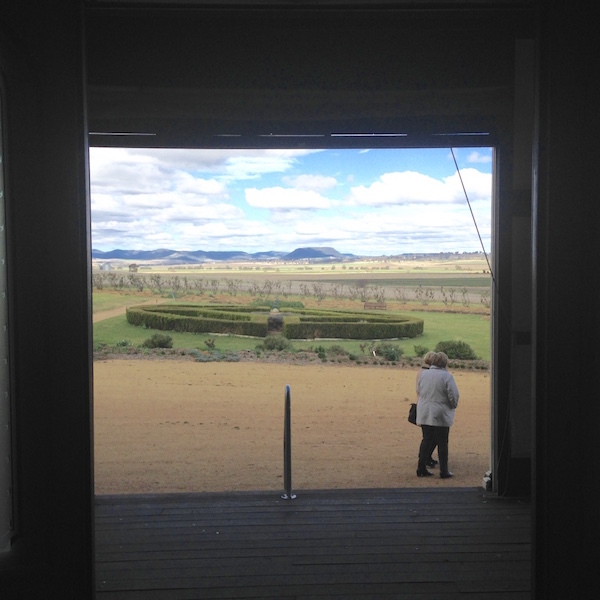 From the front, its entrance faces out over manicured lawns and gardens with views all the way to Cunningham’s Gap. From the side, though, it appears almost as though it is a film set. 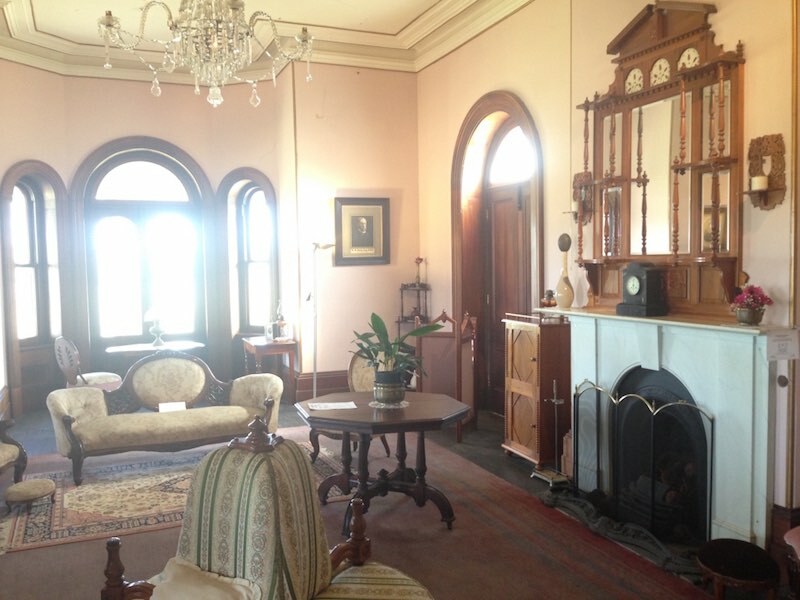 Situated at Allora on the Warwick – Toowoomba road just off the Toowoomba turn off before you reach Warwick, the house and its heritage centre are well worth a visit by anyone interested in the history of the region. On Saturday 3rd October, 2009, my wife Phyllis and I had attended the sixth annual Deuchar Dinner – a ‘black tie’ event to raise funds for the restoration of Glengallan House. To see the place full of people all dressed in their finery was a rare chance to catch a glimpse of the homestead in its glory days.